Omaha, NE—This weekend at St. Cecilia Cathedral, The Omaha Symphonic Chorus returns for their 23rd annual Christmas at the Cathedral Concert. 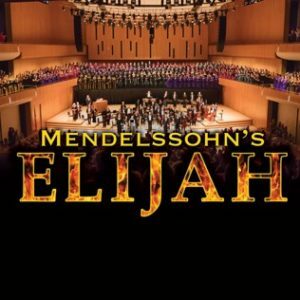 The ensemble performs this concert every year at the Cathedral, collaborating with many of the area’s musical and choral groups to put on one of the season’s highlight holiday shows. For this week’s Friday Faculty Focus, I spoke to Dr. Betty Love from the Mathematics Department. Dr. Love and I talked about her work on the website Bricklayer.org, a website devoted to reinventing how Math is taught. The Vesper concert series welcomes an unlikely ensemble to the stage of the Presbyterian Church of the Cross this weekend, Trio Fortutio. Representing the US and Brazil, the group comprises American UNO Professor and Flutist, Christine Beard, and Brazilians, Pianist Catarina Domenici and Cellist Rodrigo Alquati. American Midwest Ballet’s production of The Nutcracker returns for the season, beginning with a performance this Sunday at the Iowa Western Arts Center. It’s a traditional retelling of a holiday favorite through music and dance, set to Tchaikovsky’s iconic score.